The Royal Enfield Concept KX showcased at the EICMA motorcycle show in Milan is a bold new statement in product design. It's a concept, and will remain a concept, and not intended for production. 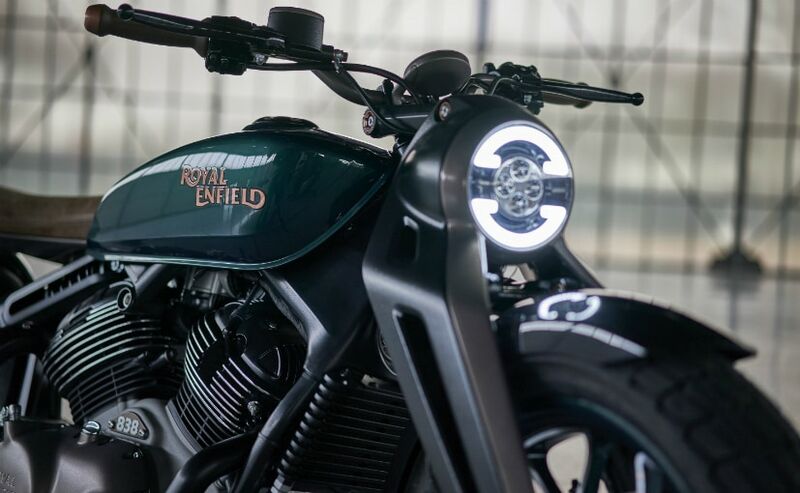 That is what the official statement says about the Royal Enfield Concept KX that was unveiled at the EICMA 2018 show. 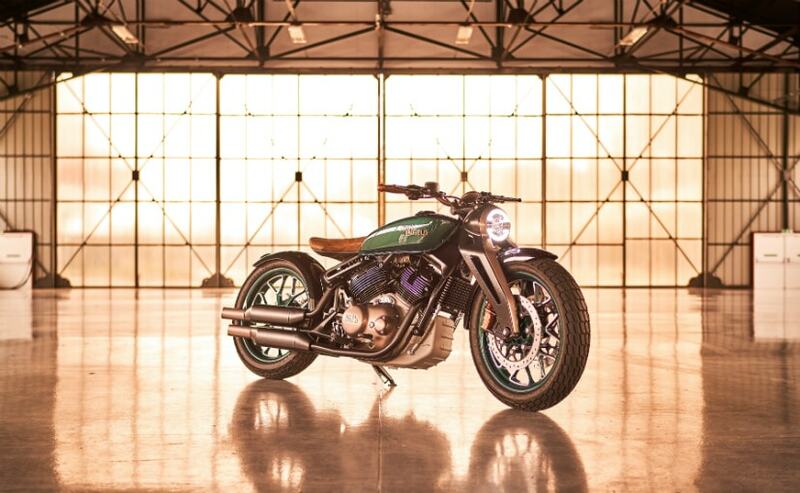 It's an impressive piece of work, this v-twin bobber concept that Royal Enfield rolled out in Milan. And it's only taken Royal Enfield's design team six months to complete this concept machine - inspired by Royal Enfield's original Model KX of the late 1930s. 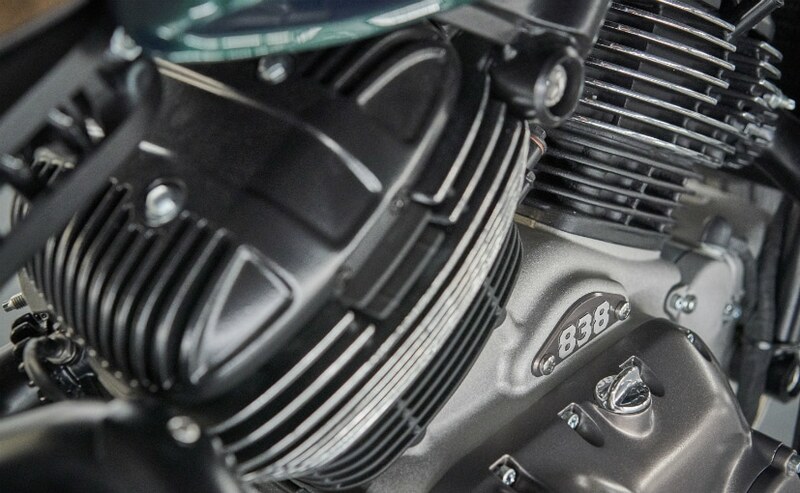 The original 1,140 cc side-valve engine was the starting point to design and develop the Concept KX in record time, a collaboration of the team at the company's India headquarters and the Royal Enfield Technical Centre in the UK. And it's a stunning piece of work. But is it just a design study, as has been stated, or is there more to the Concept KX? For over half a century, Royal Enfield rolled out motorcycles with more or less the same technology, same architecture. A 350 cc, or 500 cc air-cooled single, with pushrod actuated valves and a separate gearbox with the lever on the right hand side was what the older Bullets were known for. Not everyone could ride them, because operating the brake pedal (or the gear lever) with the wrong foot isn't intuitive, or came naturally to everyone. And kickstarting an old cast iron engine into life was a ceremony in itself; first de-compress, bring the piston to top-dead-centre, followed by a light push on the kickstarter to make the single thump to life. It wasn't quite the simplest of procedures, but purists loved it. But the Bullets also gained notoriety as being unreliable. Breakdowns and roadside repairs were attributed to 'character' by fans and owners. But there was never a shortage of critics. After all, the Bullets had technology from the 1950s, and no features or the performance to even match any 150 cc modern motorcycle. But there's more to a brand than just performance. By the late 1990s, motorcycle touring in India had come of age. And a Royal Enfield was the default choice. The torquey engine, easy availability of spares and manpower to carry out repairs in the remotest of areas, made it extremely popular. In fact, motorcycling communities in India, as we know them today, were first started by Royal Enfield owners, beginning with the first riders' groups or clubs in the Yahoo Groups era, when social media was unheard of. Pride of ownership and sense of camaraderie amongst Royal Enfield owners was the main driving force that led to the mushrooming of communities of riders, even though the bikes themselves continued to be loved and loathed, for their simplicity as well as notoriety of being unreliable. By the turn of the century, there were several changes afoot at Royal Enfield. Siddhartha Lal, the current CEO, had just taken over the reins of Eicher Motors, the parent company of Royal Enfield. And the changes soon became visible of what was to become a model success story of a brand turning back from the brink of obscurity and extinction to become one of the most valuable motorcycle brands in the world. But even as the domestic market started warming up, Royal Enfield started slowly introducing newer and seemingly improved versions of its motorcycles. Later iterations included the gear lever positioned to the conventional left side, and a new five-speed gearbox. Engine development included the same basic architecture, but a lighter aluminium block, first in collaboration with Austria's AVL, and then more recently, the new unit construction engine (UCE) with the gearbox as part of the overall engine case, rather than a separate unit as was the practice of the past. The new UCE also returned better fuel efficiency than the earlier Bullets. 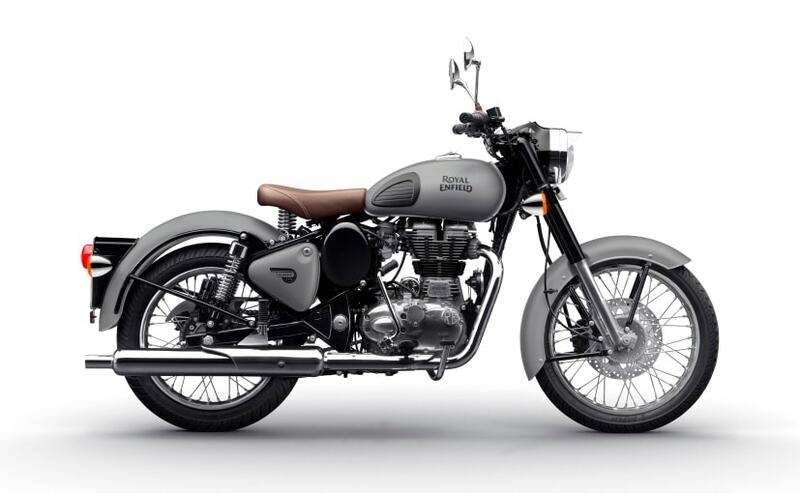 With a booming Indian economy leading to more purchasing power among the masses, Royal Enfields started to take the flavour of commuter motorcycles over the past decade or so. 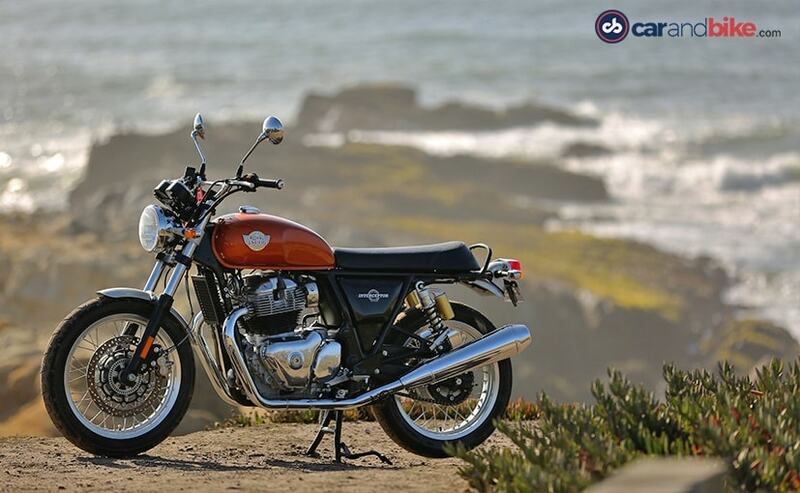 If the 1990s belonged to 100 cc motorcycles, 2010 and beyond, belongs to Royal Enfield. Today, Royal Enfield sells an average of 70,000 motorcycles a month, with more than 95 per cent of those numbers coming from the domestic market. A year ago, in November 2017, we travelled to the Bruntingthorpe Aerodrome and Proving Ground in Leicestershire, UK. 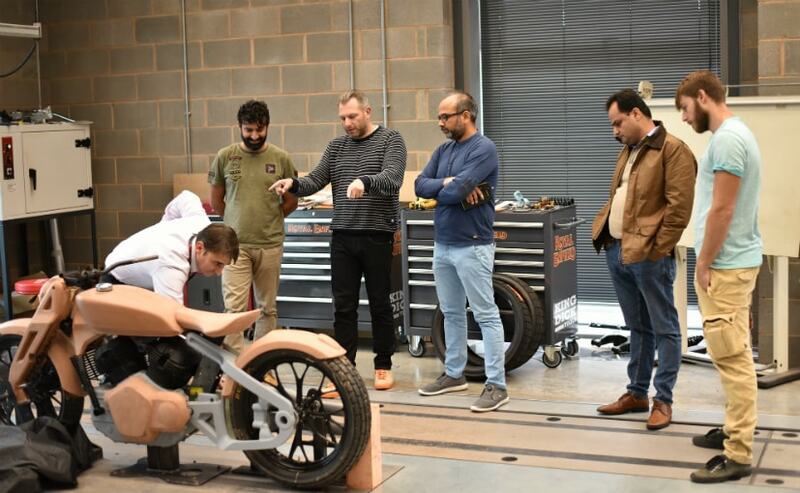 The agenda was to see the new UK Technological Centre set up by Royal Enfield, and to meet the men and women behind Royal Enfield's new thrust to design, develop and produce the first, real 'modern classics' - beginning with two new models powered by the brand new 650 cc parallel-twin. And as we found out during the first ride of the new Royal Enfield Interceptor 650, and the Royal Enfield Continental GT 650, technology, build quality, and performance of the new 650 Twins took everyone by surprise. No other Royal Enfield ever had such finesse or refinement as the new 650 twin. And it's not by accident, but pure engineering prowess and product strategy. 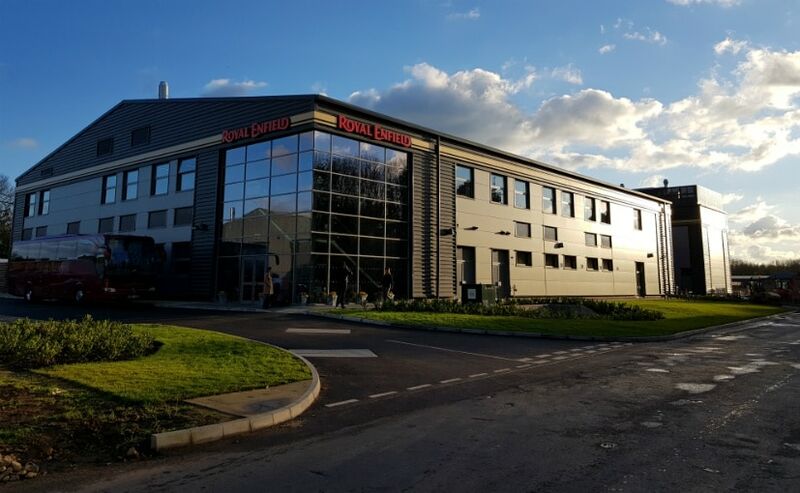 The UK Technological Centre's workforce has a large number of employees who used to be employed with Triumph Motorcycles in Hinckley, just about half an hour away from Bruntingthorpe. And many of these former Triumph employees are involved in different verticals, ranging from administration, product design, engine development and chassis design. Together with the engineers and design team in Chennai, the first modern Royal Enfield parallel-twin is born, and from the looks of it, it will be affordable enough to get in some big sales numbers from Royal Enfield's domestic market. But the 650 Twins also have a much larger role to play in the brand's global aspirations. 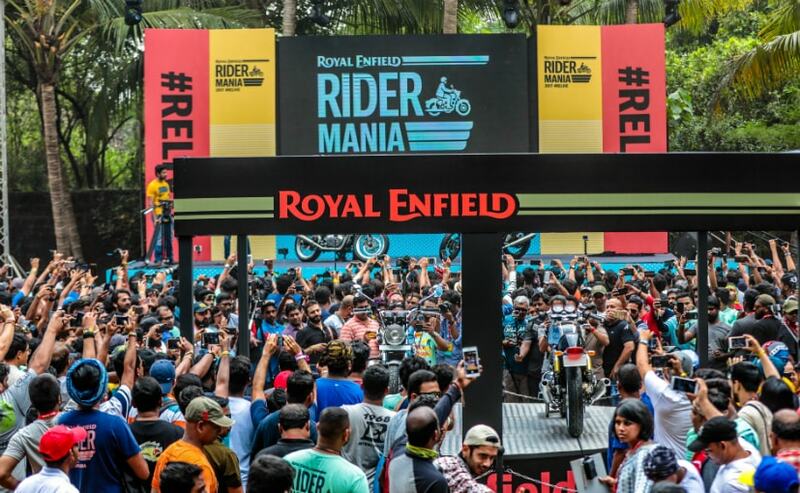 From less than 5 per cent of overall sales attributed to exports, the 650 Twins will be Royal Enfield's bold and brave new ambassadors to take the brand global, to markets where Royal Enfield already has some presence, but also to establish the brand in newer geographies and newer emerging markets. Royal Enfield's presence this year at the world's largest motorcycle show (EICMA), again centred around the 650 Twins, touted as the first real global products. And depending on market response and demand, Royal Enfield could well milk the 650 cc platform to introduce more models in the next few years. And rather than introducing an adventure styled model like the Himalayan based on the 650 cc twin, it could well be another modern classic, possibly an off-road ready Royal Enfield Scrambler 650. But that's more expectation than any concrete development that we know of yet. But the story doesn't end there. 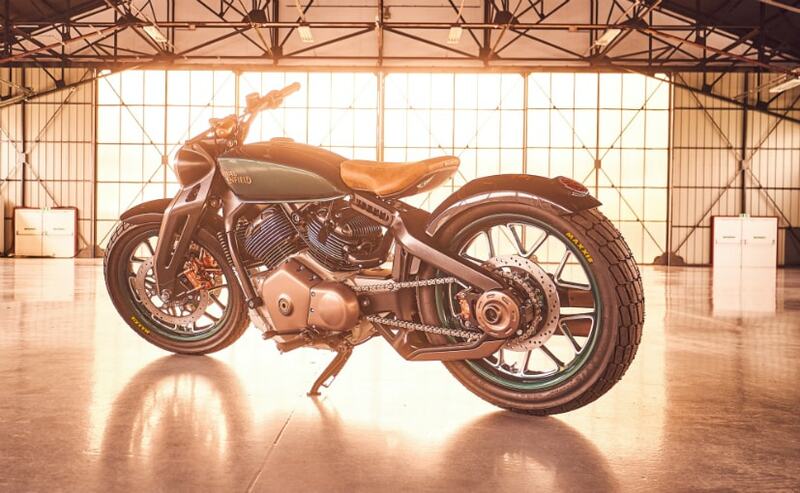 The Royal Enfield Concept KX unveiled at EICMA has Bobber design, and features a v-twin engine, with a displacement of 838 cc. And even though RE officials say it's not really a working engine, the finish and build quality indicates that the Concept KX could soon head for production, rather than just be a design study. That means, Royal Enfield has the capability and the wherewithal to add new designs and technology. So, choppers, bobbers and more in the modern classic genre could well be expected, with multiple cylinder engines with architecture not just restricted to parallel-twins. And this could be the next surprise from Royal Enfield's new push into becoming a global player. 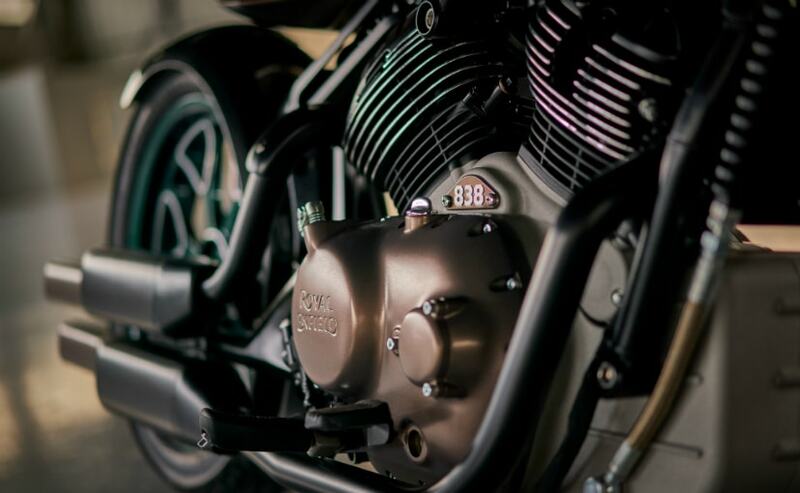 Again, the concept 838 cc v-twin points to the fact that Royal Enfield can and possibly will introduce designs and models inspired by the brand's rich legacy and possibly even borrowing the names of earlier and pre-war models. This is not entirely a new strategy though. Triumph continues to grow its modern classic range with a model addition or two every year, and in most cases, these models have names taken from Triumph's glorious past. It's a strategy which has worked well for Triumph, and Royal Enfield has an equally storied history with origins from early 20th century. The latest Interceptor name is also from Royal Enfield's history from the 1960s, which has been revived again to possibly become the first global success story for the brand. For now, the 650 Twins will be the buzz around the Royal Enfield brand, but the Concept KX is definitely more than just a design study. 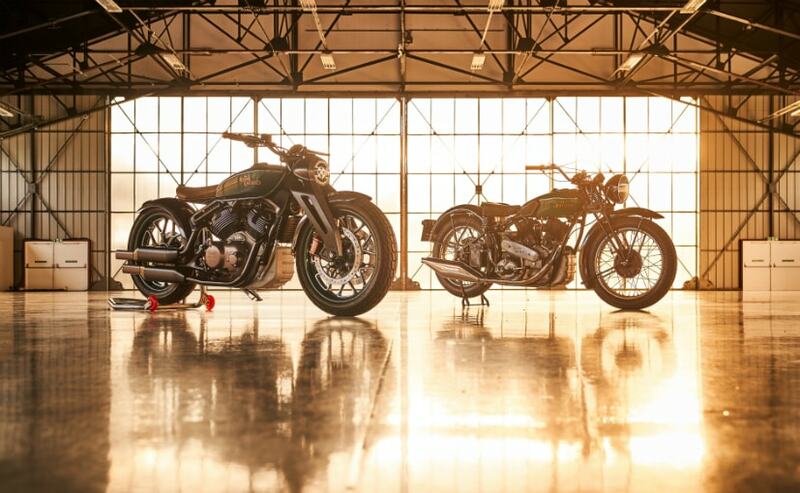 It's a bold new statement from an Indian motorcycle brand of British origin that the next push of products will be global, with impeccably engineered products which will be priced competitively. The foundation for the future of brand Royal Enfield has been laid, and it looks extremely promising.